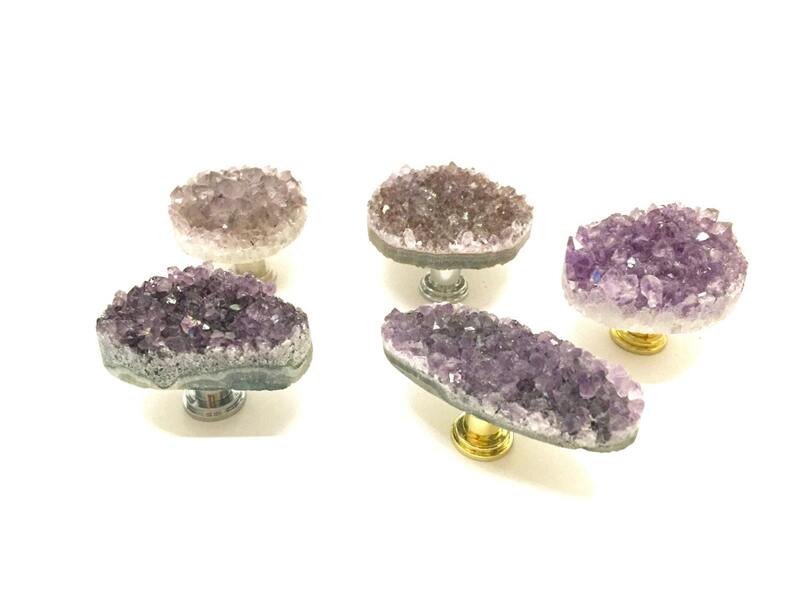 This hand-cut and polished jewelry-grade amethyst crystal is perfect for finer pieces of furniture that you want to customize. Purple Amethyst is a special stone with spiritual, meditative and calming properties. Amethyst is said to be a healing stone that works to relieve stress, anxiety and pain by calming the nervous system. Amethyst's gentle sedative energy is said to prevent insomnia, nightmares and even drunkenness. 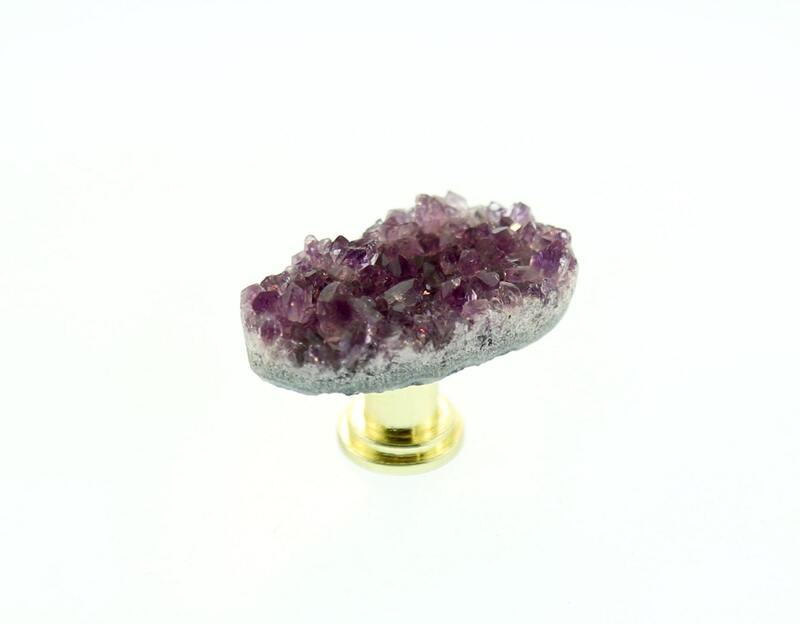 Place an amethyst drawer pull in your bedroom or in an area in your home where you want to promote peace and stability. We professionally clean our stone knobs with a cutting-edge polishing technique to achieve a high-end, yet natural aesthetic. 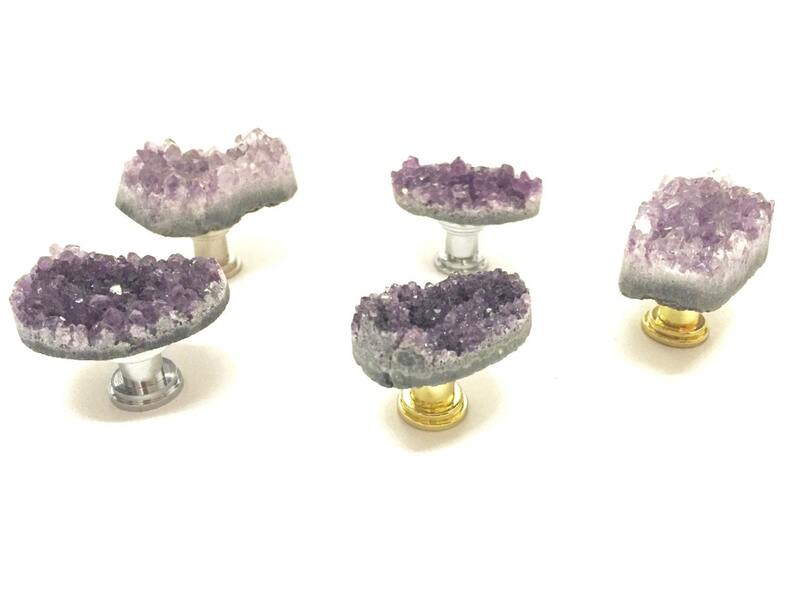 Our knobs are great for personalizing fine furniture or making basic, minimalist pieces look unique. 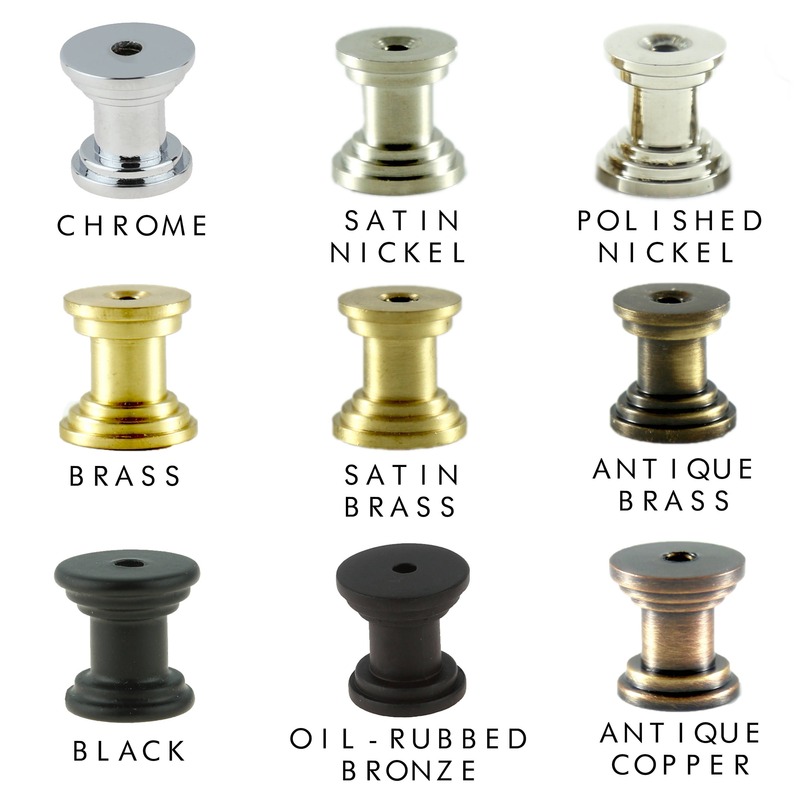 Each knob is custom made when you order so please choose your desired finish!